In every Australian garage is an unloved chair... Little Red Industries aims to find them and completely revamp them to last another lifetime. Great design choices, unique finishes and fabrics and smart repairs combine with a guarantee that sturdiness and a solid structure always come first. If you're after a certain style or something special Little Red Industries can source it for you. While nothing beats the satisfaction of doing it yourself (that's what DIY is all about! ), with Little Red Industries you're not alone. 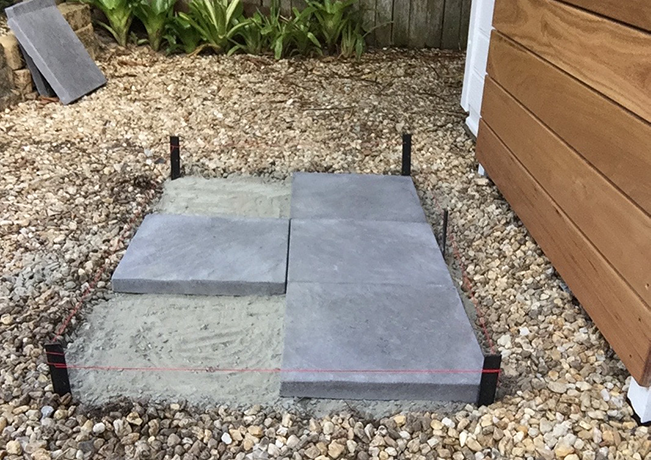 Set out pavers on a base of ready-mix concrete and simply add water! It cost about $100 to lay and seal these six pavers, and you can use the same technique to pave other areas of your yard. 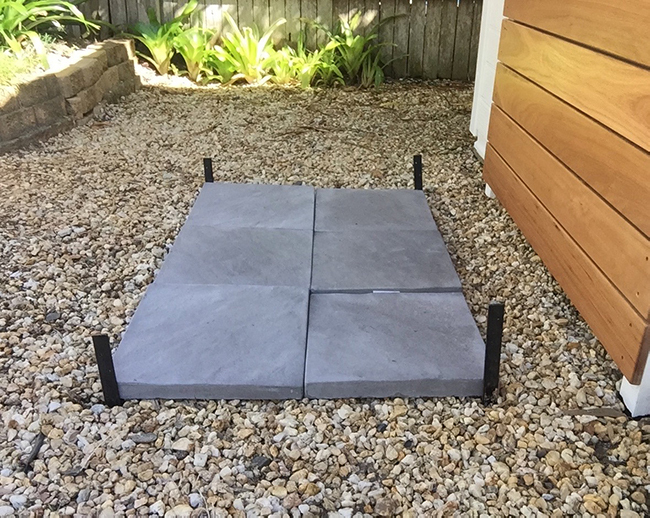 To finish off my outdoor shower area, I added a solid platform underfoot with simple pavers, installing them after the shower to ensure they’re in the best possible spot for standing directly under the water. Lay out the pavers to check the pattern and position. TIP These are centred under the shower, about 240m from the wall. Tap metal stakes into corners using a mallet then run a stringline around the perimeter. TIP Wind the string around each stake from the outside and in the same direction to ensure straight lines. Remove the pavers and use a shovel to clear the base, digging down to make it about 60mm deep. Pour in three bags of ready-mix concrete to fill the base to halfway, creating a layer of about 30mm, keeping about two handfuls aside to use as grout. TIP Avoid working on a windy day and wear a mask. 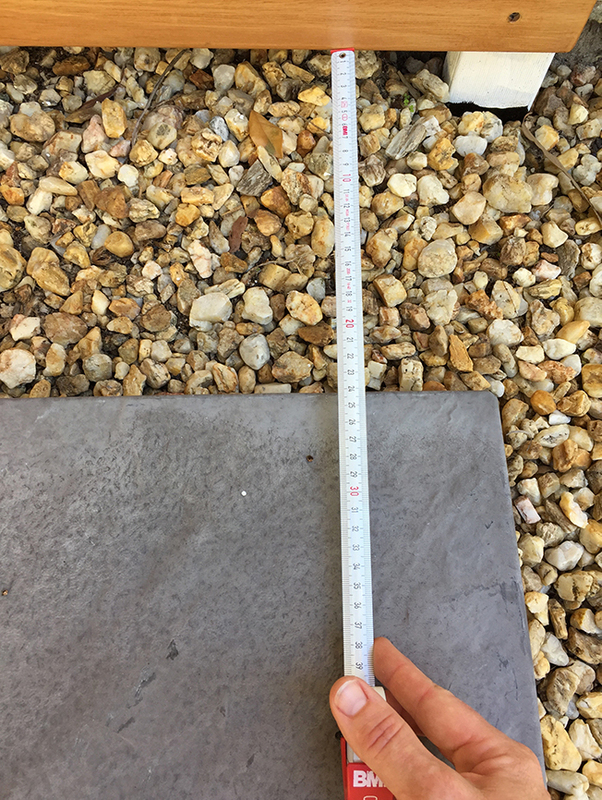 Ensure the base is flat by using a spirit level to spread the concrete and smooth the surface. Position the pavers, beginning with the first row in the far corner and laying the second row from the centre to ensure the joints are straight. TIP Use a mallet to tap down the pavers and shift them into position. 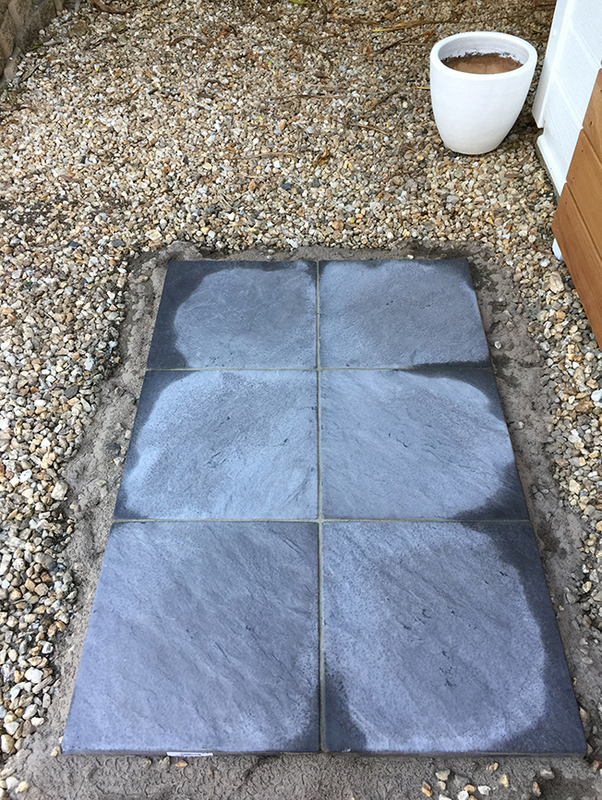 Sprinkle the remaining dry concrete over the pavers as grout, using a broom to brush it into the joints and avoid flicking powder onto the surrounding areas. Use a watering can to pour water over the pavers, making sure the edges are well soaked, and avoid pouring directly onto the joint lines. Leave to cure and dry completely. Remove the stakes and check that the grout hasn’t washed away at the edges, adding a little more dry concrete and sprinkling with water if needed to make the edges square and neat. Leave to cure and dry completely for at least 24 hours. Use a scourer with Bondall TileGuard Tile & Grout Cleaner to prepare the surface for sealing, washing away the residue thoroughly with water. Use a roller with Bondall TileGuard Natural Look Sealer, working quickly to apply two coats without allowing the surface to dry out, then leave to dry. Rake the pebbles or the surface material up to the sides of the pavers to finish. Check out the full instructions on how to install a luxury outdoor shower with hot water.